We were the first generation to grow up with computers at home. 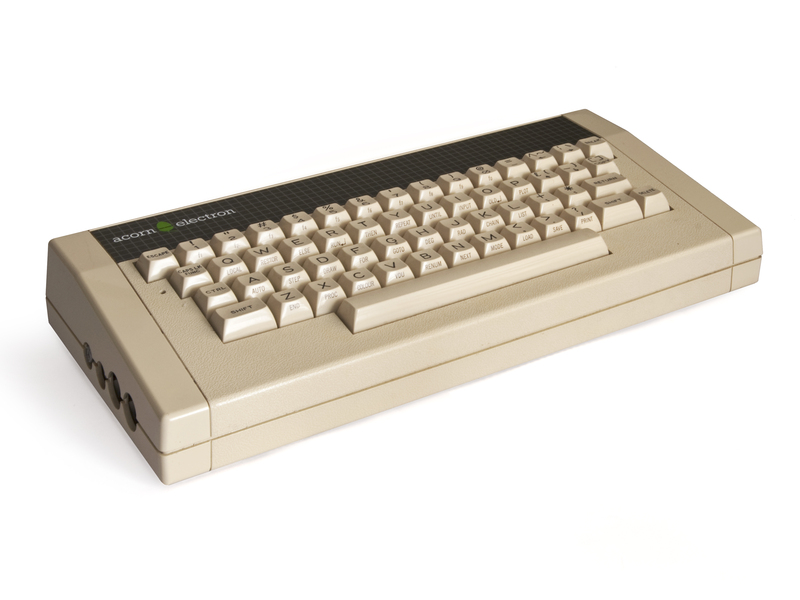 Iain got one first – a BBC Micro, just as we were leaving primary school, but many of my friends got BBCs, Spectrums and Commodore 64s for Christmas 1983. Although 1984 has significance in the history of computing in other ways, it was the year when it became clear that this wasn’t just a fad; this was here to stay. My sister and I got an Acorn Electron for Christmas 1984. The Electron was an interesting machine. It was an attempt to provide BBC Micro features for a ZX Spectrum price. Problem was – the games weren’t as good as the Spectrum and the limitations compared to the BBC were significant. Acorn struggled to manufacture enough units for sale until Christmas 1984 by which point it was a bit too late. But I couldn’t get enough of it. I read the manual cover to cover. We got Electron User and Acorn User, and I typed in all of the listings I could. My friend Daniel and I discovered that if he brought his official Acorn tape player round to ours and plugged it into my parents’ hifi, we could copy games. Good times. Just before my fourteenth birthday, I read something which changed everything. 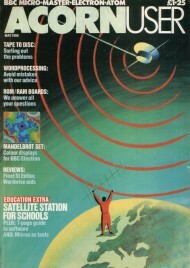 The May 1986 edition of Acorn User contained an article called Exploring the Mandlebrot Set by David Johnson-Davies. It blew my mind. In one article, a few lines of code and the hours of experimentation which came afterwards, I encountered complex numbers, the fascinating beauty of fractals – and the realisation that exploring these things was only possible with computers – but the computers that we now all had at home. Things like this were happening to lots of us (like Richard Kettlewell). I read Natural Sciences and Chemical Engineering at university – but there was only one place I ever wanted to go. An early page of my Electron manual says “All correspondence should be addressed to: Technical Enquiries, Acorn Computers Limited, Fulbourn Road, Cherry Hinton, Cambridge CB1 4JN”. A lightbulb moment. Cambridge was where to find all the clever people doing clever stuff with computers. That’s what I wanted to do. I’ve worked for a couple of Cambridge colleges, for a couple of software companies and I ran the IT team at DAMTP, Stephen Hawking’s department at Cambridge. Now I’m at Red Gate and it’s 26 years since we got the Electron, and 20 years since I came down here – but I’m still doing what I’ve wanted to do since I was fourteen – working in Cambridge with clever people doing clever things with computers. Luke has just started secondary school. All of the kids have been given a Toshiba netbook, and when he was with us a couple of weekends ago, we struggled for a while to get it to connect to our wireless network. I tried to open a command prompt to diagnose, but the machines had been locked down so I couldn’t. My first experience with computing was the year before things got fun when I spent a hellish term hand-coding Fortran on punchcards for a really nasty piece of work as a teacher. I swore that I’d NEVER, EVER, EVER have anything to do with those infernal f-ing machines if I had any say about it. The next year the school got a small lab with 20 brand-new Commodores, and a new teacher whose enthusiasm was contageous. And now I tell horror stories to my son about the days when you dialed into a message board with a 128-baud modem to read text on a monochrome monitor. When Asteroids was the coolest (and most graphics-intensive) game around. Dot-matrix printers. Life before the mouse. And he looks on me with such pity at the deprived childhood I had, not knowing the magical journey that this has all become. Someday he’ll tell his kids about a world where everywhere wasn’t a hotspot. Where games were in 2-D. Where…. oh I can’t begin to guess the technology in another 20 years. Except that it will be cool. http://www2.b3ta.com/heyhey16k/ I’m so pleased that there was a BBC Computer Literacy Project. It changed my life! A new teacher arrived at school in 1980. He brought his own Apple II in for the final year pupils to play with. I’ve been grateful for that act of generosity ever since. 30 years on, still fascinated. Relating to this 100%. Great post.